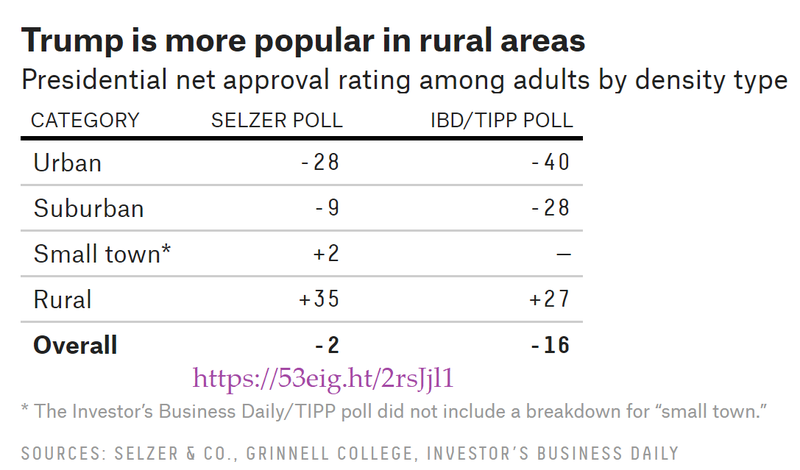 Rural America, which boasts the strongest support for President Trump, is home to less than 20% of the population. Two recent national polls reveal that President Donald Trump’s primary support comes from rural America, as those living in small towns, the suburbs and cities become more disenchanted with the 45th president. Heading into the 2020 election, FiveThirtyEight recommends the president work on bolstering support outside of rural America — which is home to not even 20 percent of the population. I pass this barn every morning on my way to work. Ugh. Oh hell no FiveThirty Eight, I recommend Trump skip the next election altogether.